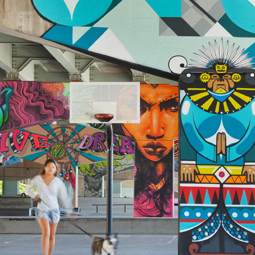 As co-chair of the Sustainable Design and Development PPN, I work with other officers and ASLA staff to develop topics of interest and input from landscape architects and other allied professionals for this blog. Project economics are an important, but immensely challenging, topic in making the case for sustainable design. At the suggestion of Dena Kennett, ASLA, who worked on ASLA’s behalf to develop a green infrastructure workshop for the 2013 New Partners for Smart Growth Conference and worked directly with my colleague, Martha Sheils, a resource economics professional, to address this issue, we are trying something new here—adapting a PowerPoint presentation to this format to provide SDD members with access to information that resonated with conference attendees. 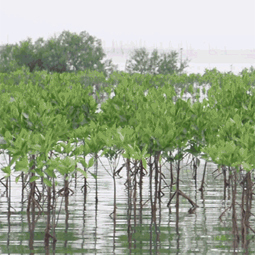 When our company, Studioverde, was in its formative stages, I had many fruitful discussions with Martha—a friend and colleague from when we worked together in another multidisciplinary firm—about the importance of ecosystem services and the economic case for sustainable design, implementation, and maintenance. 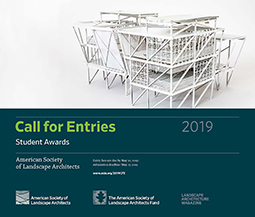 Martha has an uncanny ability to identify, distill, and communicate heady research outside of the landscape architecture profession that applies to our work. These early discussions and Martha’s research led us to the Sustainable Sites Initiative back in 2007, and she is currently working on education and outreach to help municipalities and professional organizations understand the benefits of integrated stormwater management models. The following article is Part 1 of a two-part series and was adapted from a panel discussion titled The Cost of Green Infrastructure as Convergence of Political Leadership, Architecture and Engineering: Cheaper than We Thought held during the 12th Annual New Partners for Smart Growth: Building Safe, Healthy, Equitable and Prosperous Communities Conference in February, 2013. In the ongoing effort to address costs and benefits in the discussions around green infrastructure, ASLA invited Martha Sheils, representing the New England Environmental Finance Center in Portland, Maine, to participate on a panel at the 2013 New Partners for Smart Growth Conference, moderated by Roxanne Blackwell, ASLA’s Director of Federal Government Affairs. Other panelists included Jan Marcason, Councilmember, Kansas City, Missouri; Mark Focht, FASLA, First Deputy Commissioner of Parks and Facilities, Philadelphia, Pennsylvania; and Kevin Robert Perry, ASLA, Urban Rain|Design, Portland, Oregon. 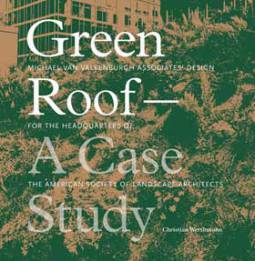 Martha’s work draws on recent research outside of the landscape architecture profession that provides insights useful to landscape architects in building an economic case for green infrastructure and sustainable site design and management practices. 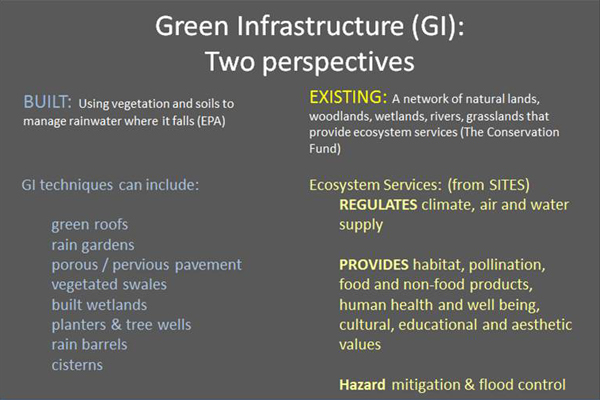 Her talk highlighted different ways to quantify and compare costs and benefits for green infrastructure based on case studies and methodologies used by two research organizations: the University of New Hampshire Stormwater Center (UNHSC) and Resources for the Future (RFF). 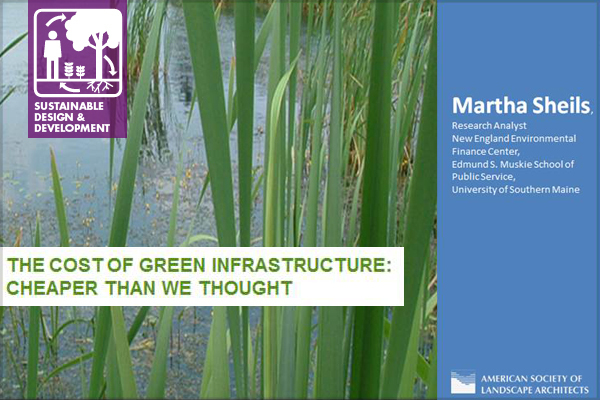 Martha made the case that communities should consider and integrate both built and existing green infrastructure options in their stormwater planning. The UNHSC case study is discussed here in Part 1 and the RFF case study will discussed under Part 2 of this series. Summary of the economic benefit categories that are highlighted in the “Banking on Green” report. 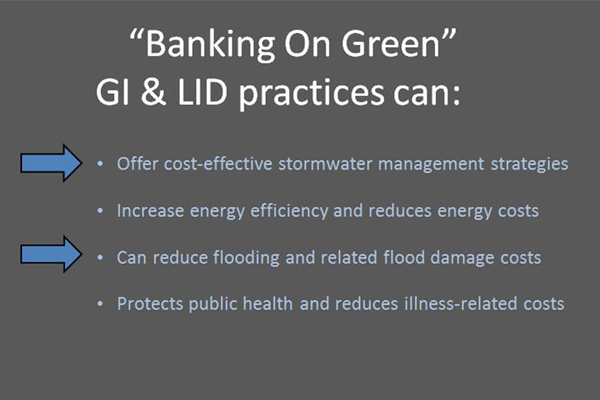 First, a good reference for ASLA members to review for the potential benefits and economics of green infrastructure is the “Banking on Green: How Green Infrastructure Saves Municipalities Money and Provides Economic Benefits Community-wide” report. 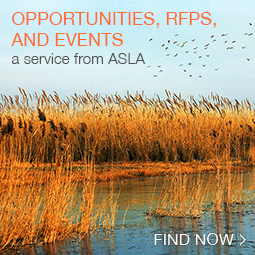 Another resource, which may be less familiar to ASLA members, but provides well-researched data on the economics of green infrastructure, is the University of New Hampshire Stormwater Center (UNHSC). UNHSC’s mission “….is dedicated to the protection of water resources through effective stormwater management.” UNHSC has been on the forefront of some of the most comprehensive research and testing on green infrastructure for cold weather climates and economic valuation studies in the United States. 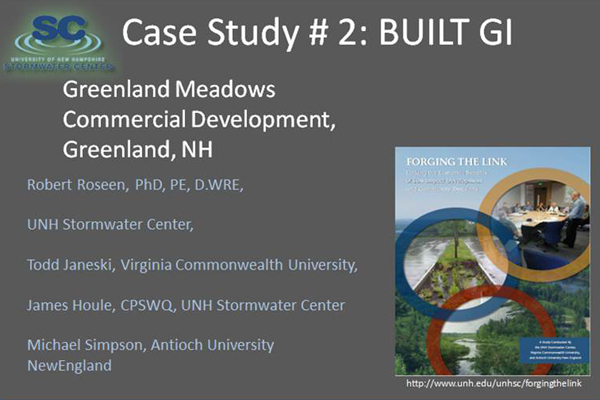 The first case study featured was the UNHSC’s review and analysis of the Greenland Meadows Commercial Development in Greenland, New Hampshire. 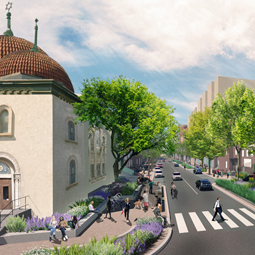 In this case, the developer decided to consider the LID option due to: 1) local stakeholder opposition; and 2) a regulatory process that would have been difficult using traditional stormwater infrastructure given the location near a sensitive resource. 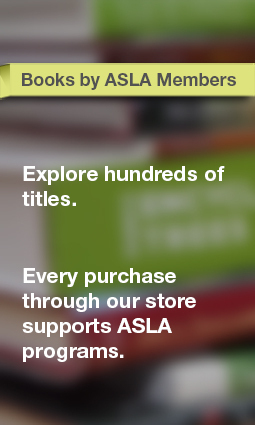 Traditional methods for cost comparisons usually focus on individual line items or improvement categories. From a line item perspective, the LID option costs for the Paving category are significantly higher ($884,000) than the conventional option. These numbers confirm that the cost of LID (or permeable paving options) tend to be 25-50% higher than conventional options. 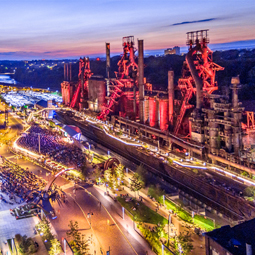 When viewed from that narrow scenario, the conversation usually ends—because most developers, municipalities and land owners have limited budgets and will choose the lower line item cost option. 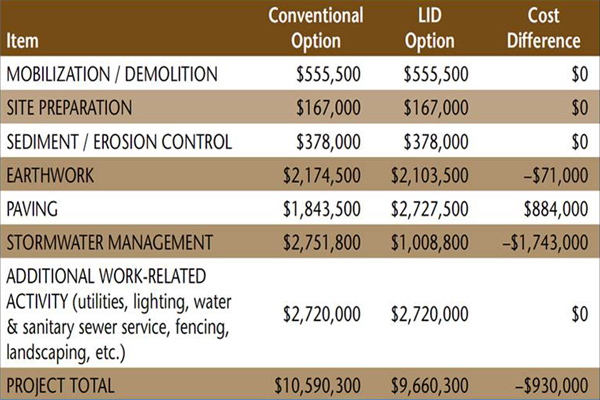 However, as the whole cost approach table above illustrates, there were significant savings under the LID option category of Stormwater Mangement. The elimination of large diameter and extensive stormwater pipes and curbing (required for the conventional option), resulted in a savings of over $1.7 million, which far outweighed the increased costs of the LID paving, and resulted in a net project savings of $930,000. 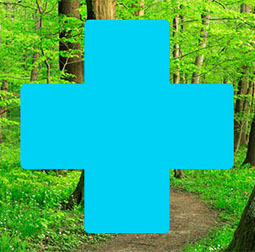 Adopting a whole cost approach gives decision makers the information they need to make informed choices. Another important driver in the consideration of LID that every landscape architect should be aware of is the advent of stormwater utilities which are popping up around the country to address the costs of stormwater infrastructure. 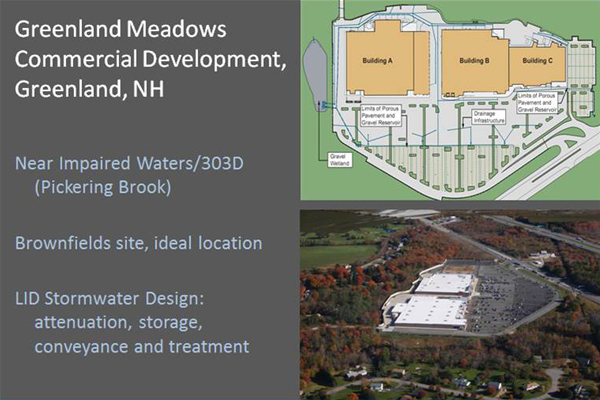 In the case of Greenland Meadows, one of the larger retail tenants is paying approximately $20,000 per year into a stormwater utility at another retail location based on the amount of impervious surfaces (roof, parking, and access roads). 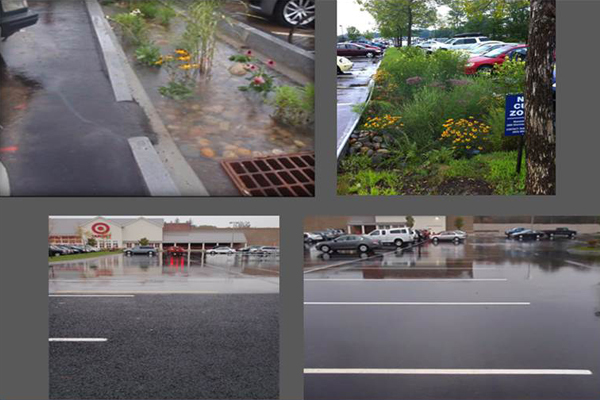 Because the Greenland Meadows LID option resulted in zero site discharge, this retailer likely has avoided those costs should a stormwater utility become necessary for this watershed. Other cost savings that were not accounted for, but were cited anecdotally, are savings in long-term maintenance and repairs. Most research shows that LID systems cost significantly less to maintain over the long term when compared with traditionally engineered systems. Furthermore, other economic benefits that have not been quantified are the cost savings from a reduction in icing, snowplowing, and winter salt use. And intangible benefits from the planted rain gardens and gravel wetlands (which included a perimeter of native plant groupings) are increased wildlife habitat, enhanced aesthetics, reduced urban heat island effect, and other improvements to ecosystem services. Although the UNHSC civil engineers did the heavy lifting to demonstrate that LID is a viable and economic option for the Greenland Meadows project, landscape architects can take this and other information provided by UNHSC and other resources to make the economic case that LID and GI are not necessarily a more expensive option. As the Greenland Meadows project demonstrated, it can be cheaper than we think! Martha Sheils is a Program Manager for the New England Environmental Finance Center, which is one of a consortium of 10 university-based centers focusing on the questions of how-to-pay-for needed environmental improvements. Martha is also a founding partner in the firm Studioverde, with offices in Cumberland, Maine and Austin, Texas.